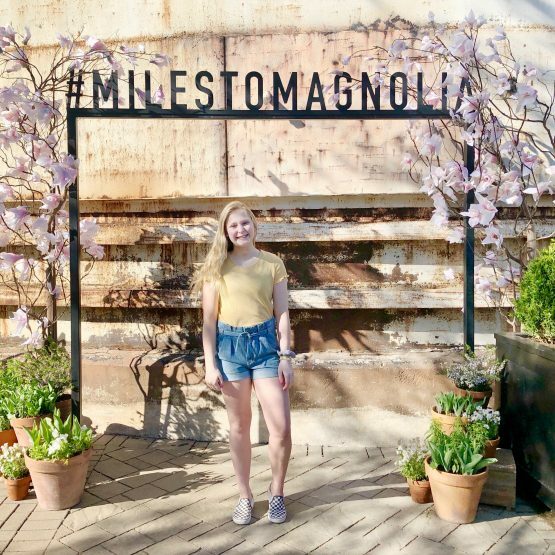 Living in Waco, Texas, home of Chip and Joanna Gaines’ Magnolia Market at The Silos, as a home decor blogger definitely has its perks. All of my home decor lovin’ and ‘fixer upper’ fan friends who I have met through social media and blogging over the past two and a half years want to come to my hometown. 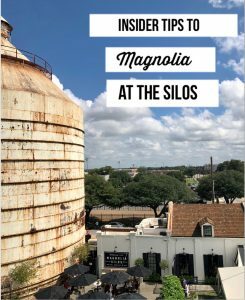 I know they are coming to see the Magnolia mothership known as the Silos and secretly hope to catch a glimpse of Joanna Gaines herself. I get to meet friends that I have only talked to through social media, predominately in our home decor community on Instagram. Being a ‘tourist’ in my own hometown gives me a new perspective of everything Magnolia has to offer. For the day, I can forget my errands in town and tag along with friends who are coming to Waco for the first time. Everyone wants to try Magnolia Table restaurant, so I have eaten there several times. Each time has been a new experience from sitting at the shared table with new faces and old friends to trying something different on the menu. My husband took me to breakfast at Magnolia Table on the second day that they opened. I wrote about it here. 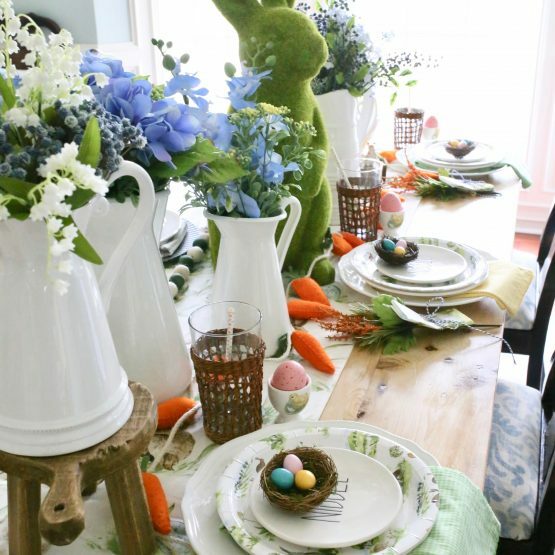 It was exciting to see how the Gaines transformed the Elite Cafe into Magnolia Table. This last time I visited, I sat in the backroom with the fireplace and I was just as excited for this new view as the first I walked into the restaurant. 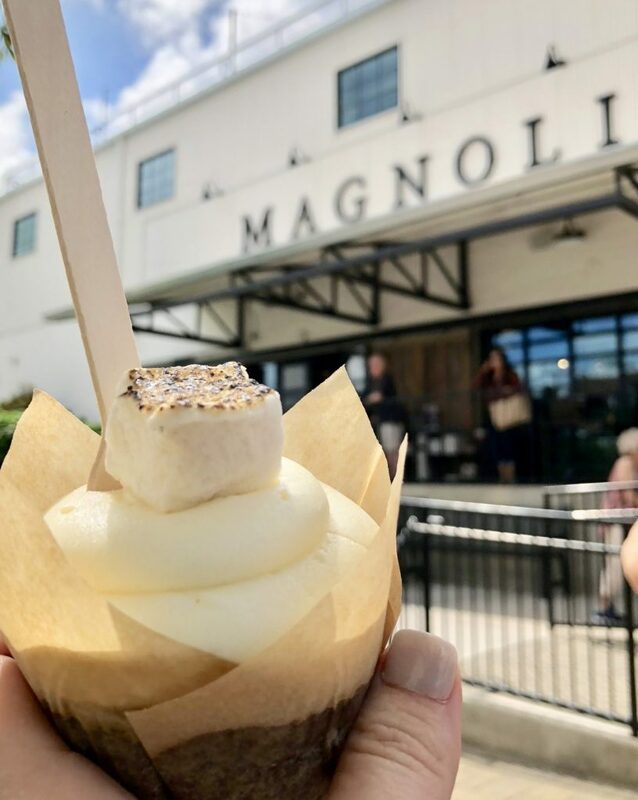 As a local, I notice little things before they are announced on social media like the newest displays at Magnolia Market, seasonal flavors of cupcakes or when something new is coming, like the Magnolia Table food truck. I often hear buzz around town about Chip and Joanna, from buying a new building to having a commercial kitchen rented… I usually don’t share because I don’t always know if it is true. 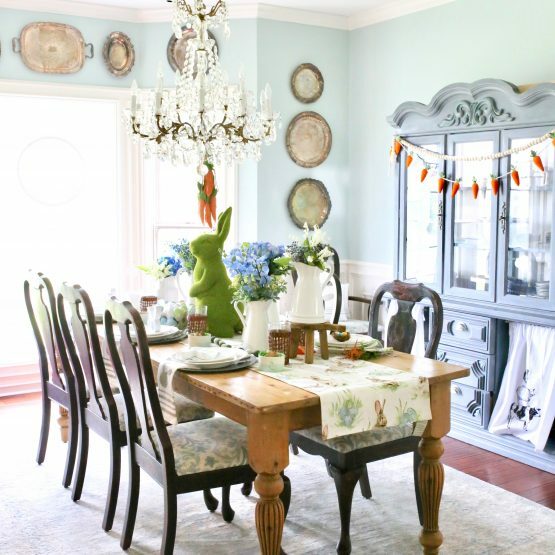 But today, I am sharing the inside scoop of what is happening at Magnolia this Fall! If you have seen the pictures recently on social media of Joanna’s mom with guests at Magnolia Table, you will likely see more. I think you will see more of Joanna’s mom around the restaurant or shop. My friend ran into Joanna’s mom at the local Marshall’s. Joanna’s mom mentioned that she and her husband moved back to Waco from Houston… Probably to snuggle all those new grand babies in Waco, between baby Crew and Joanna’s younger sister’s newest addition. 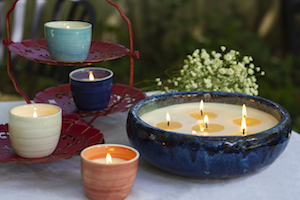 With any new season, comes all the favorite flavors and pumpkin spice is the signature fall flavor. 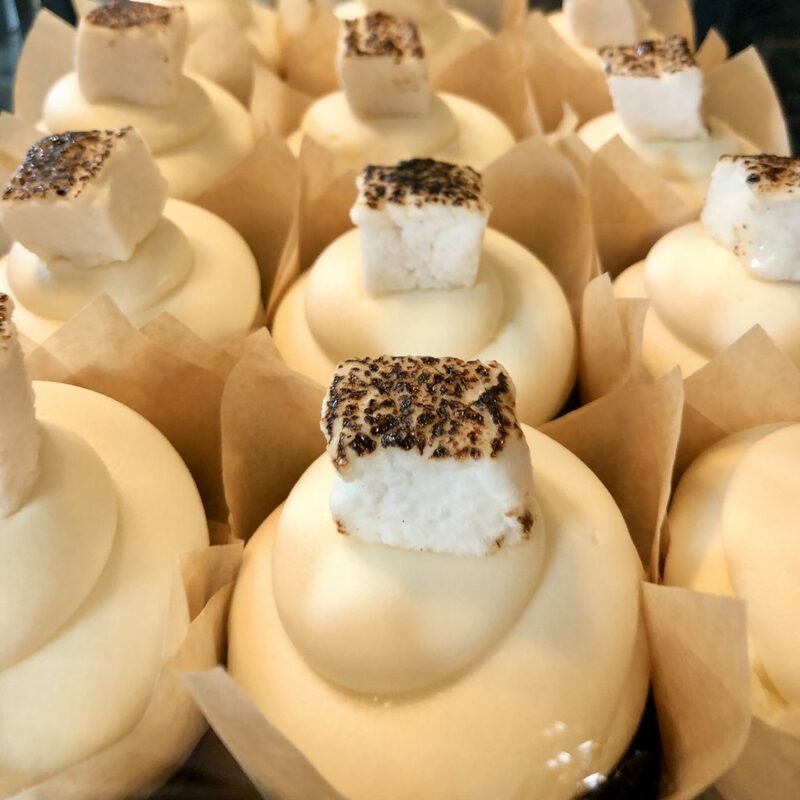 The two new flavors of cupcakes at the bakery located at the Silos, is ‘campfire’ and ‘pumpkin spice.’ I tried the ‘campfire’ cupcake, topped with a toasted marshmallow, and inspired by s’mores, no doubt. It is so good, but I recommend sharing this sweet treat with a friend! 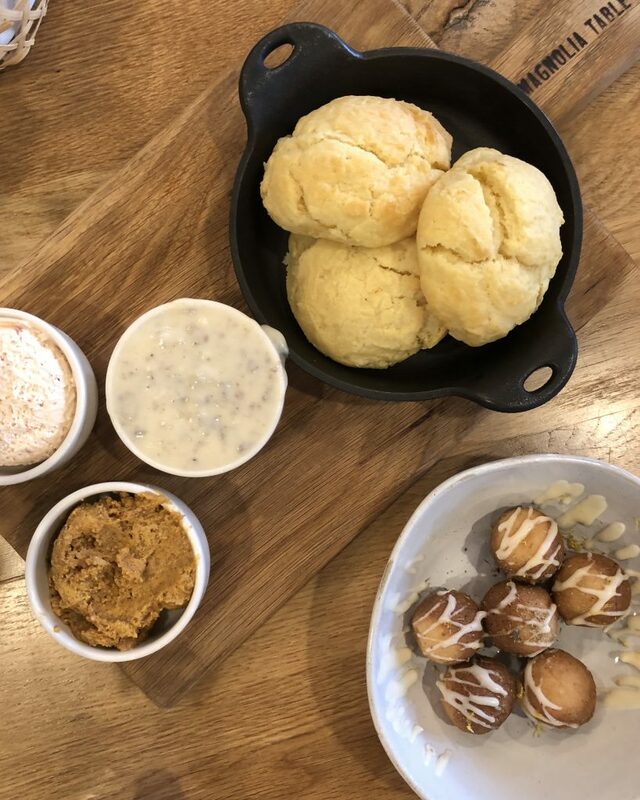 Pumpkin butter is being served with the biscuits at Magnolia Table, too. I can’t even.. it is all so good! How do you say ‘no’ to pumpkin butter? You don’t. 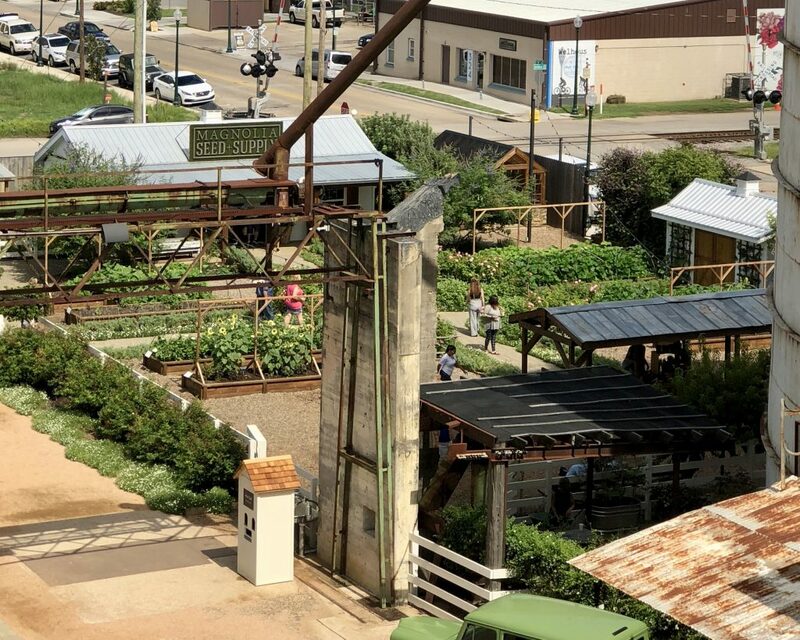 About three weeks ago, I visited the Silos and noticed the Magnolia Table food truck parked next to Magnolia Market at the Silos near the lawn. Within a few days, I noticed that Magnolia posted on instagram that the food truck was open as of September 1. 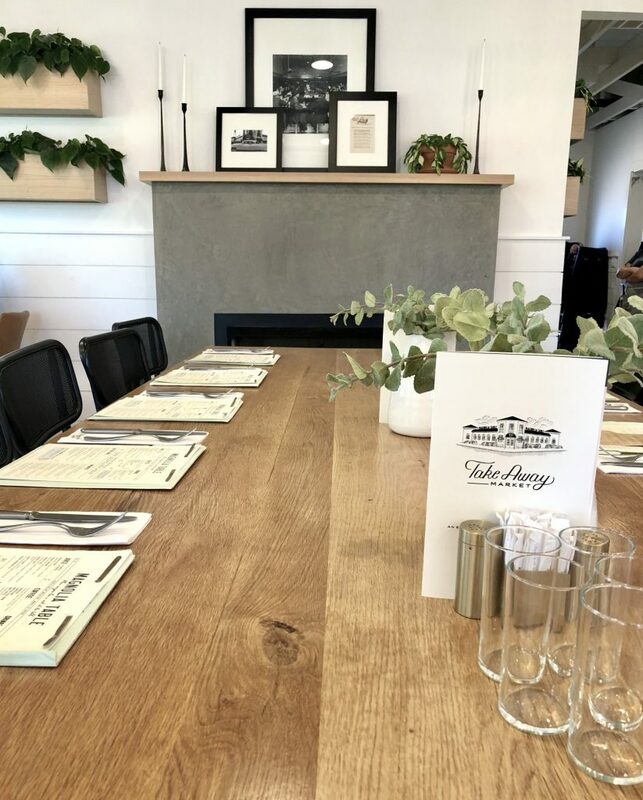 They serve a few items from the Magnolia Table restaurant, including the pimento cheese, chicken salad sandwich, and a green salad with chicken. 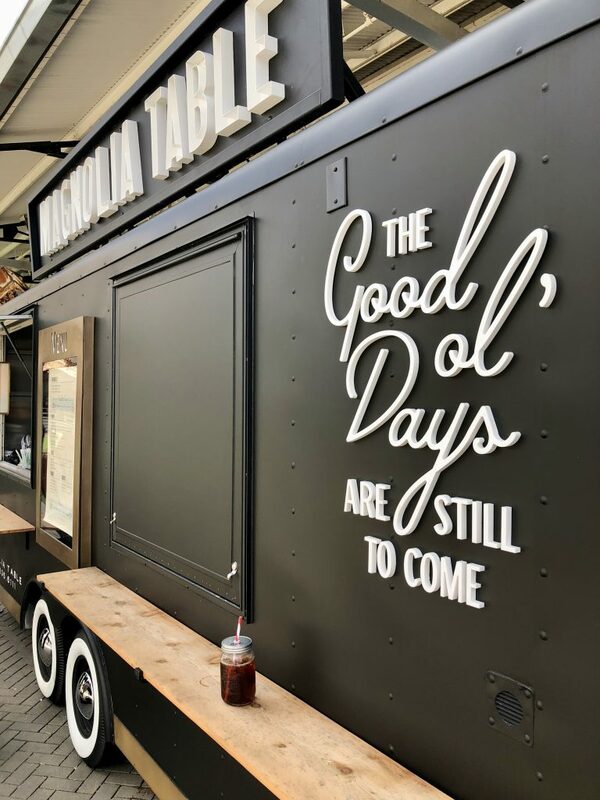 There is not a grill inside the food truck but it does give you a taste of Magnolia Table right at the Silos. When the Silos are really busy, there is often a silver air stream food truck for the Silos Bakery parked among the others. They are usually open till 3 pm, but will close early if the lines are short at the Silos Bakery. The same delicous cupcakes available at the bakery are sold here, but without the wait. Just a little FYI, if the lines to the Silos Bakery are long, look for the food truck! 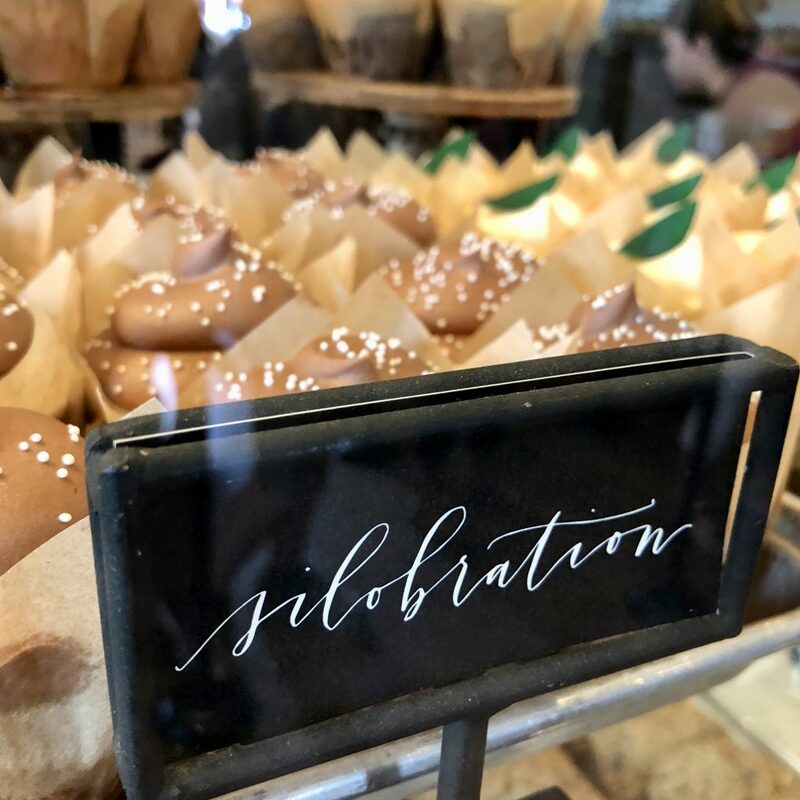 In the past, the Silos Bakery food truck has been parked at the ‘Little Shop on Bosque’ for locals to enjoy cupcakes without the wait. I think it has been parked at the Silos all summer long. The Gaines family may not be the only ones growing. I expect the Silos to be making an addition soon, too! Over six+ months ago, I heard that the Gaines bought the old Crossfit building located next to Silos parking lot at 8th street and Webster avenue. Since then, the Crossfit business has moved out. Last week, I decided to ask a Magnolia Market team member about their plans for the building. The Magnolia team member told me that they planned to turn it into a ‘coffee shop.’ Well, that makes sense! The bakery and restaurant are so popular, I imagine that a coffee shop will fare just as well. 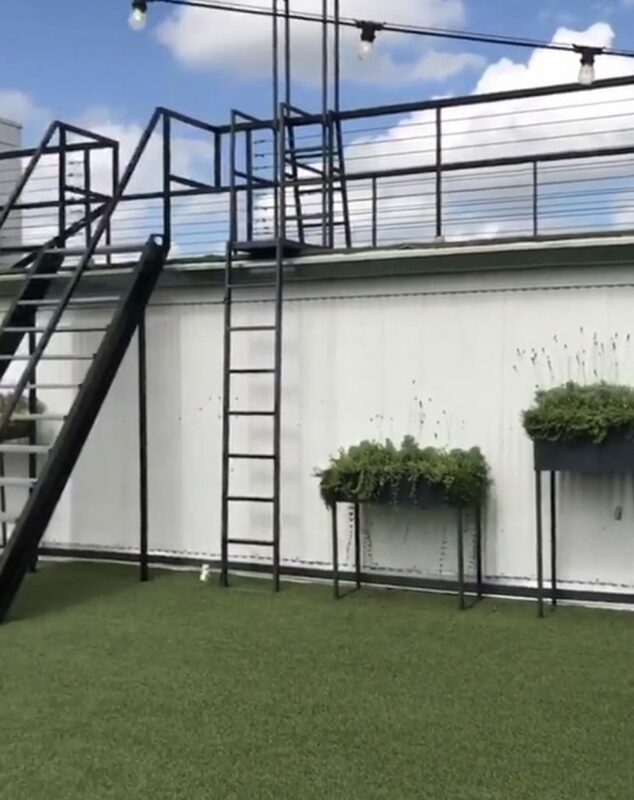 I can’t wait to see what Chip and Joanna do with the new space! 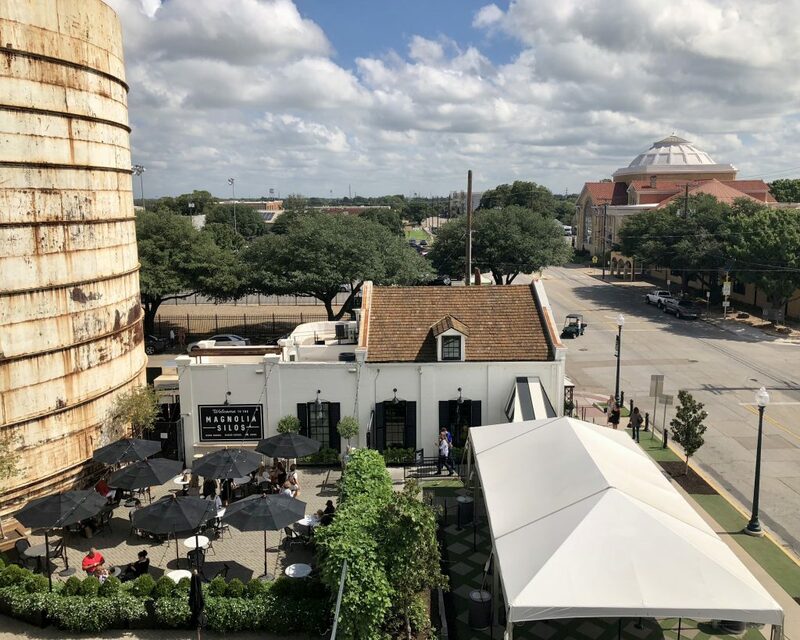 I was lucky enough to take a roof top tour above Magnolia Market at the Silos last week. The views of the Silos and downtown Waco were beautiful. It was a neat experience to see where Chip and Joanna hang out during concerts and events like Silobration. The Magnolia team member explained a little about the history of the buildings. 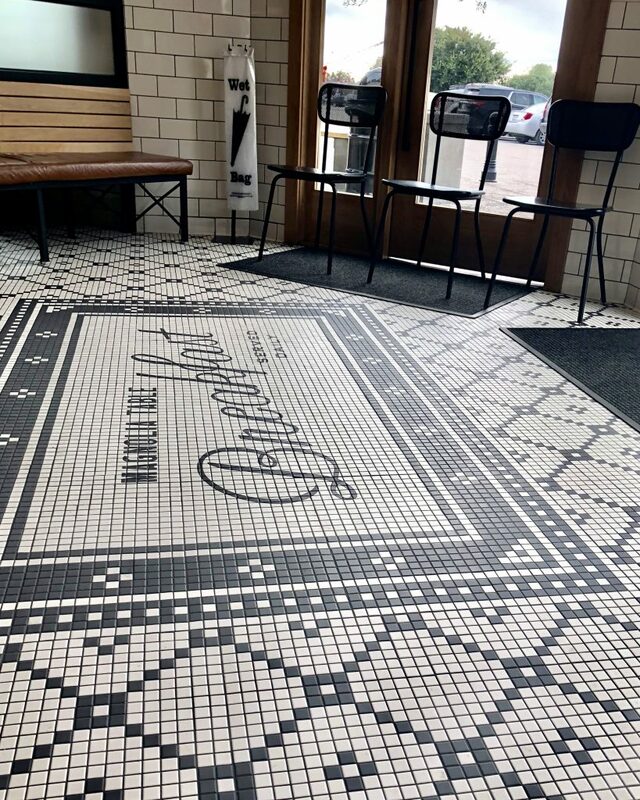 She mentioned how Joanna frequented a small flower shop in the building that now houses the Magnolia Bakery and described the nostalgia that Joanna feels about the building itself. 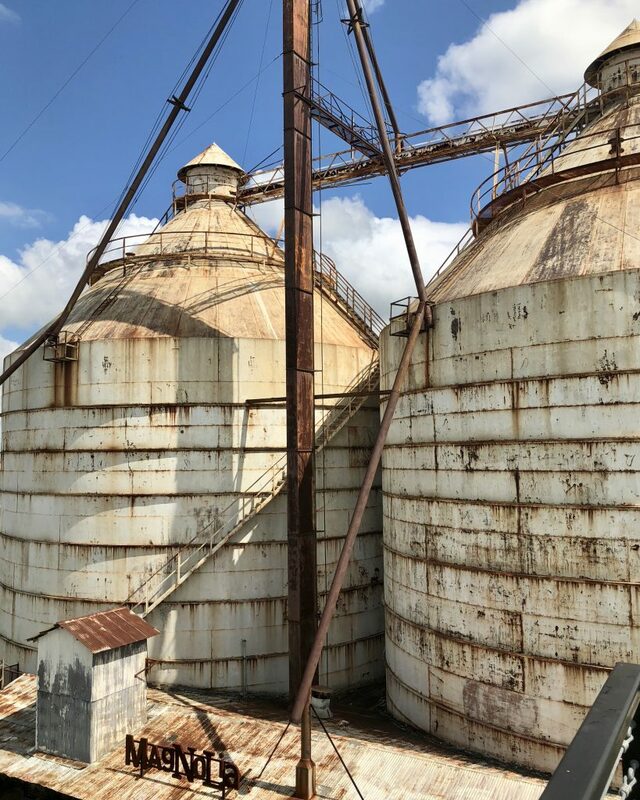 The team member told us about a fire that destroyed part of the Silos after the 1953 Waco tornado which has caused a delay on actually renovating the Silos due to the degree of damage inside. 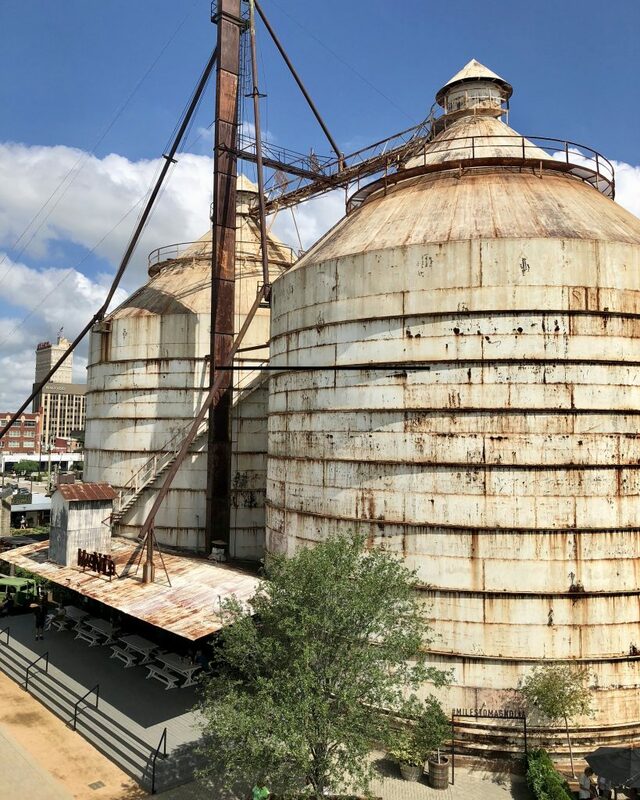 Plans to restore the Silos are still a dream, but Chip and Joanna are focusing on other projects now. If you don’t know the history of Waco, in 1953, an f5 tornado destroyed downtown causing over 50 million dollars in damage and killing over 100 people, injuring 1000 more. Some say Waco was going to be bigger than Houston or Dallas, until the tornado destroyed the downtown area causing many businesses to start over elsewhere. The team member described Chip as the jokester we see on television. She described Joanna coming into the offices, being focused on the details of the business and the aesthetic of the shop. We were told about many wonderful things that Chip and Joanna do for others in the community from employees to visitors. Little things like Chip calls the store daily to surprise and pay for the next customer in line’s purchase. When I visited the bakery during closing time, I noticed a man with empty bins patiently waiting to the side. I can only assume that all the unsold cupcakes are donated to a food bank in downtown Waco. 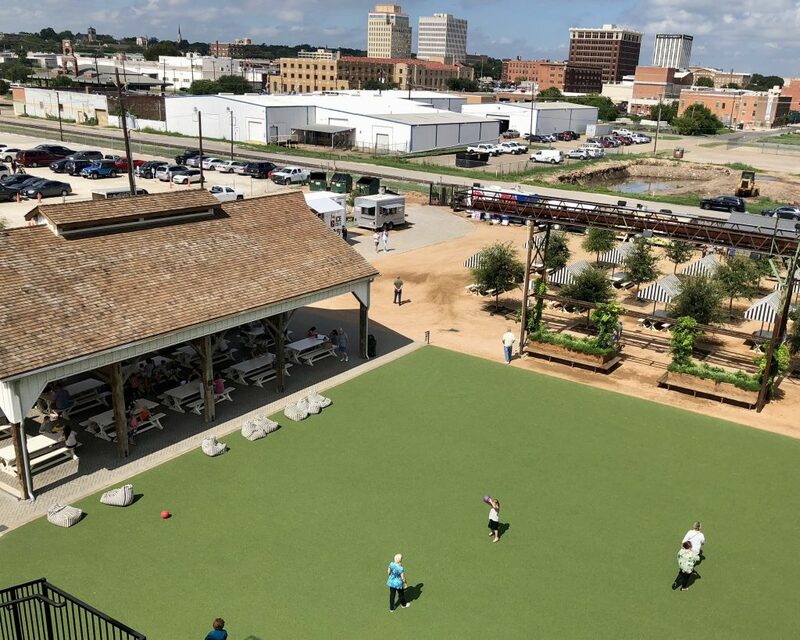 Being a local, I have had a wonderful time watching Waco grow over the past few years. The view from the Silos was just icing on the cupcake! 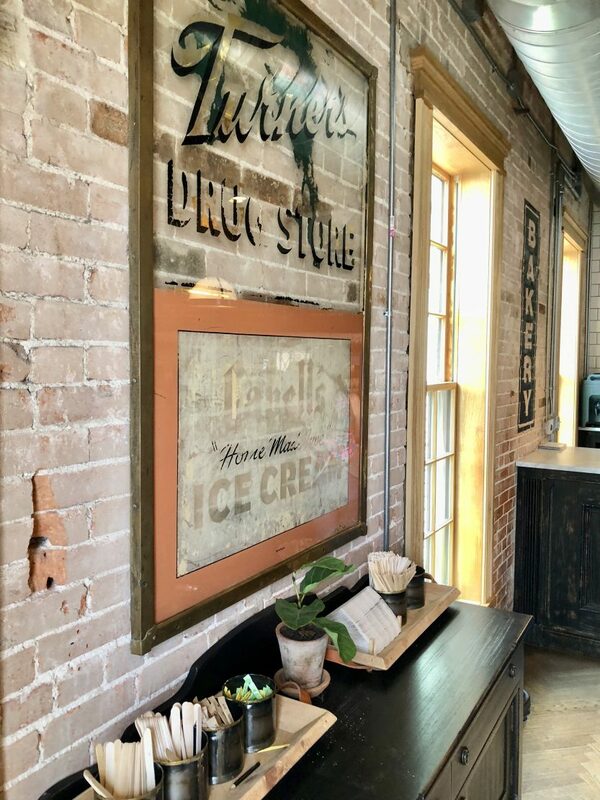 If you haven’t seen the fall displays at Magnolia Market at the Silos, I rounded up my favorite fall inspiration on a blog post here! 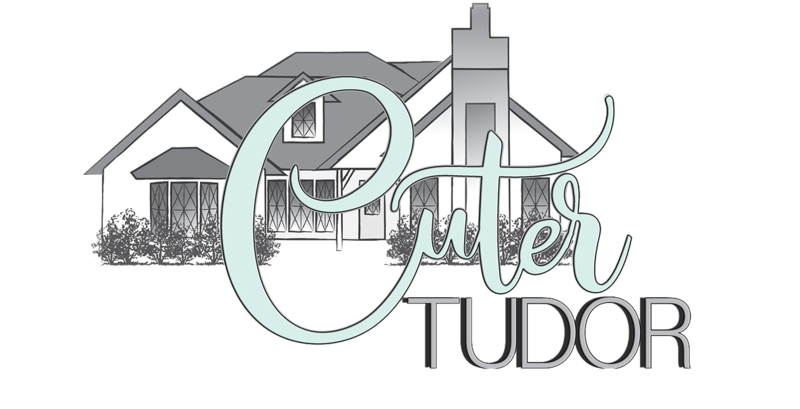 Thank you for stopping by the Cuter Tudor blog! Yep, I do live in Waco, about 5 miles from Chip and Joanna! 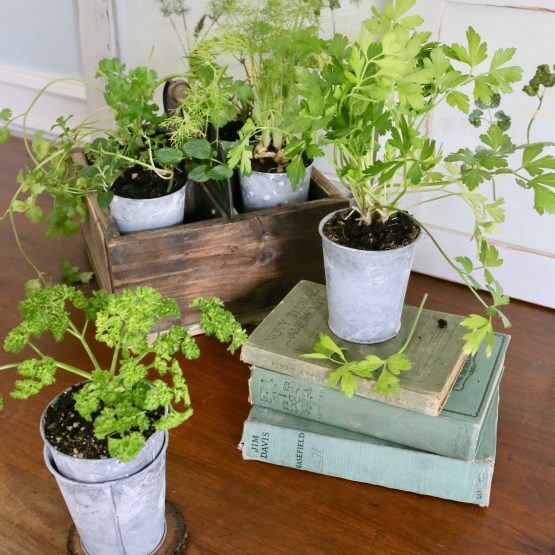 Follow me on instagram @cutertudor for more home decor ideas. You can pin this on your “Waco Getaway” Pinterest board for more sneak peaks inside Magnolia.